The Lunch Room launched on 30 July 2013 at 727 Collins Street and brings to Melbourne a brand new food destination. Designed by collaboration between blackmilk interior design and Walker Corporation, The Lunch Room looks like a restaurant, but serves honest to goodness sandwiches, freshly rolled sushi, salsas and more. Providing hungry stomachs with a broad and exciting range of tempting cuisines from Mexican and Asian, through to modern Australian, The Lunch Room is the fashionable new home for Think Asia (Asian and Thai), Papadam (Indian cuisine), Nashi (Sandwiches), Rhumbas (Rolls), Edamama (Salad Bar and brilliant coffee), Salsaʼs (Tex Mex Grill), Sobo Japanese, Big Italiano, Harvest Juice Bar and Hudsons, a specialty coffee shop. Winner of the ʻGolden Bean Best Coffee Chain/Franchiseʼ, humble sandwich shop, Nashi is committed to providing both coffee and food at the highest level. The Lunch Room is the first food venue within Walker Corporationʼs Collins Square, the new link between Melbourneʼs CBD and the Docklands. Collins Square encompasses 10,000 sqm of retail precinct that will create a vibrant and active heart for the Melbourne CBD to deliver every amenity and everyday essential to local workers and residents. Gazi has well and truly arrived. 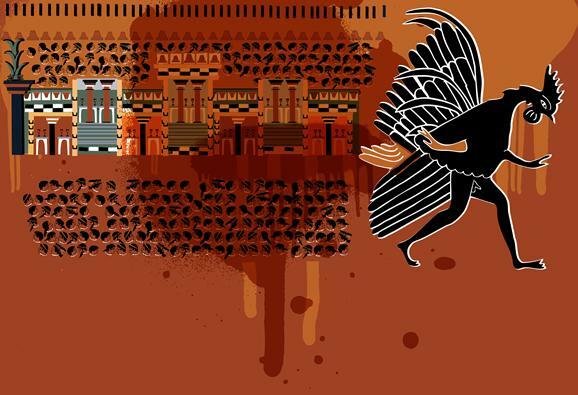 The site has been turned on its head and revamped. Gazi is an opportunity to experience an entirely different side of Greek cuisine. The new restaurant offers earthy, Athenian ‘Street’ food partnered with exciting and experimental cocktails and spirits. For lovers of The Press Club, do not fear, it will reemerge in the site once occupied by Little Press. Much loved Acland Street Cantina is now open for lunch over the weekends. Saturday and Sunday are the perfect days for enjoying tacos, The Cubano Sandwich and churros. A cheeky beer or wine will go along nicely as well. The Cellar Bar is now open below the streets of St Kilda. With booths, bottle service, cocktails and music for grown ups, this is the perfect place for anything from an afterwork drink, to a cocktail party. Lazy Sundays at Royal Saxon are now even more alluring with the launch of Spins, Spits and Swallows. Every Sunday from 12 pm to 8 pm in July and August, the Royal Saxon serves up succulent suckling pig pannini from the courtyard spit and a special 2 course, Sunday Spit Roast set menu on top of their delicious a la carte menu. 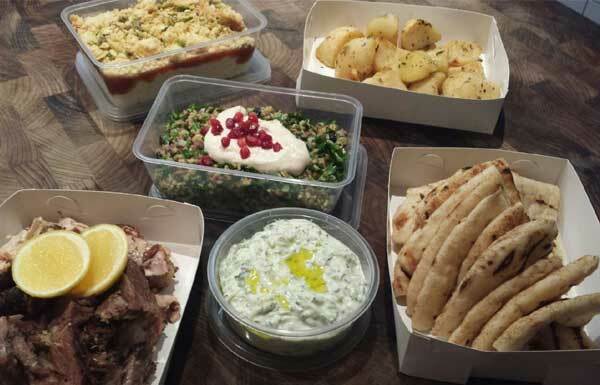 Hellenic Republic now has a new take-away feasting option - brilliant for a cold winter’s night. The "Hellenic Feast-To-Go" is only $49 for four people which means you'll get to enjoy some classic Greek comfort food in the comfort of your own home and still have something left for the piggy bank. Davis Yu has officially launched Touché Hombre Eléctrica following the success of Melbourne CBD Mexican restaurant Touché Hombre, bringing his Mexican street food culture concept to Claremont Street South Yarra. Touché Hombre Eléctrica has brought its sister’s party vibe and street art style into South Yarra, mixed with it’s own soul of fresh cantina style dishes by head chef Sean Judd. What better place to celebrate truffle season than at Circa. 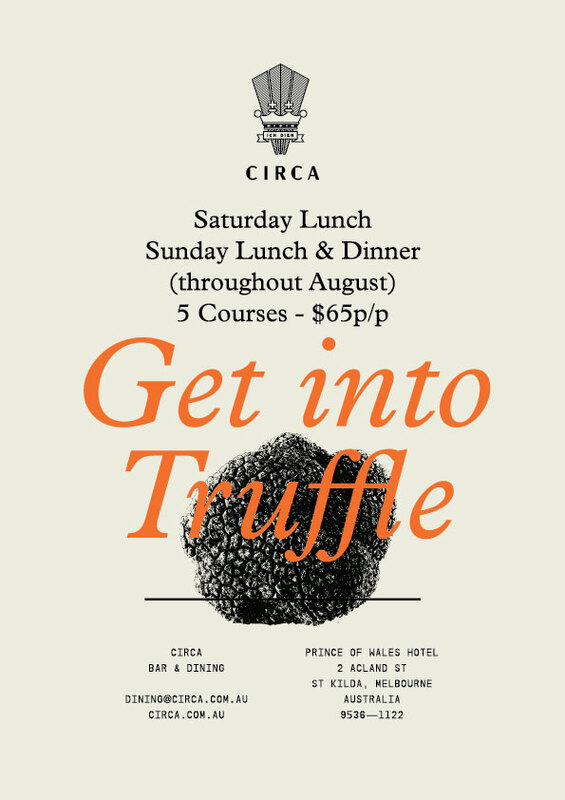 During lunch times on Saturday and all day Sunday in August, Circa is offering a five course menu featuring the earthy and exotic, ever desirable truffle. At the exceptional price of $65 per head, each course designed by Paul Wilson will showcase the precious ingredient’s versatility, highlighting its unrivalled ability to enhance the flavours of Circa’s best sourced, local and seasonal ingredients. The much anticipated Adriano Zumbo is set to open its latest patisserie on north Chapel Street next month, cementing South Yarra as Melbourne’s hottest new food destination. Bolstering the ever-growing epicurean landscape of North Chapel Street and South Yarra, Zumbo will join the likes of Spoonbill at The Olsen, Miss Chu, George Calombaris’s Muma Buba, Baby, Claremont Tonic, Top Paddock and Burch & Purchese Sweet Studio.